A beautifully located detached Bungalow in the heart of Los Gigantes with breath taking sea and cliff views. 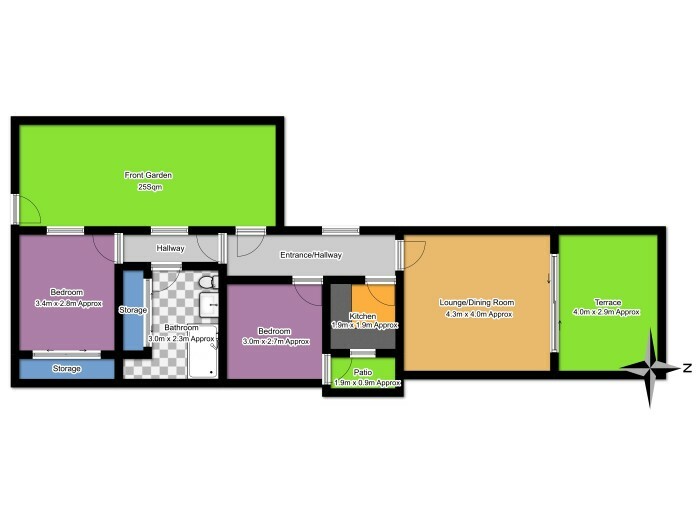 It has two bedrooms both with fitted wardrobes and the master bedroom having heated floors. The shower room is spacious, also with plenty of storage. The kitchen is seperate with the opportunity to extend to make bigger. The living area is of a generous size and overlooks the sunny terrace which boasts with the stunning views. On the entrance of this house you have your own little garden area too which is very unique. This is in a fantastic opportunity for a holiday home as it is right next to the popular communal swimming pool Oasis which has a restaurant, bar, tennis courts and other facilities. It is also located a five-minute walk to the harbour and other local amenities. Viewings highly recommended.